“Civic Hacking” is the awareness of a condition that is suboptimal in a neighborhood, community or place and the perception of one’s own ability to effect change on that condition. The apps are incidental. In 2008, civic hacking was the furthest thing from my mind. At the time, I was working for a small company in Southwestern Virginia that built payment and telephony systems for local governments. I had left state government behind 5 years prior – after working for almost a dozen years in two different states in both the legislative and executive branches – to become a full time technologist. My job enabled me to expand my knowledge of software development, VoIP and telephony systems design and made me feel “connected” to government. I felt like I was still working to help governments use technology more efficiently – which was the focus of the last several years of my public service – because my company was building tools that were used by governments. In reality, I was probably more unsatisfied with my current “connection” with government than I had realized. In the Fall of that year I came across an announcement about a contest that was taking place in the District of Columbia that seemed quite extraordinary to me. The DC government had published dozens of data sets to a public website in highly usable formats and was inviting outside software developers to do interesting things with this data. Winners would be chosen and given cash rewards, along with a chance to be singled out by the Mayor at a public ceremony. I instantly knew that I wanted to participate – even though I neither lived nor worked in DC. I entered the contest, submitted my application, won the silver medal in the “independent developer” category and got a $1,000 check for my efforts. For this, and many other reasons, I have been bullish on civic hacking ever since. After the initial wave of government app contest spurred by the Apps for Democracy contest in DC, the world of civic hacking went grassroots, with community sponsored events popping up all over the country. The last several years have seen the creation and spectacular growth of the Code for America Brigade, which has helped to create civic hacking groups in dozens of cities in the U.S. and other countries. Today, a great deal of civic hacking occurs outside of app contests, or even hackathons themselves. It is a regular activity that occurs each week or month in Code for America Brigades and other groups. A great example that I like to point to is the Detroit Water Project, which came together when the co-creators connected via Twitter. The project didn’t require a hackathon or similar event, or even a physical meeting between the creators to get started. App contests and the early wave of organized civic hacking events has helped spur the development of a large (and growing) community that can now come together and interact more fluidly. The solutions being developed by these groups are increasingly potent and I think are appropriately viewed as part of the answer to the problems governments face in using technology to do their jobs. Reform the government procurement process (as it relates to IT acquisitions). Build up the internal capacity of government to better manage IT projects (particularly large scale projects). Deploy APIs and release open data to create a platform on which third parties may develop new applications and services (“government as a platform”). To solve the overarching problem, I think each of these three approaches are needed to some degree – a balance between them must be struck so that they act like the metaphorical “three-legged stool.” Of these three remedies, the one that requires the most radical perceived departure from the way that governments currently operate is the third – turning government into a platform. Certainly the scope to which the current procurement process must be changed is vast, and governments have a long way to go to replicate the capacity for successful IT project management that we see in private sector organizations. But progress on these fronts involves changes – as dramatic as they may need to be – to existing processes, not the invention of brand new ones. The idea of creating government as a platform, and enabling agencies to work collaboratively with outside parties (outside of traditional contract vehicles) to develop applications for their constituencies can seem like the most radical change. It requires governments to abdicate some control to new partners, to develop mechanisms for engaging and collaborating with these partners and to reimagine their role in the IT service delivery chain – to no longer be the unilateral creator of solutions used by and for government, and to become an enabler that incentivizes others to build them. Despite the perceived novelty of this approach in the world of technology, there is actually a long history of reliance on outside volunteers to deliver important government services – one that continues today. In fact, there is a rich spectrum of examples that we can observe in the contemporary operation of government that involves government reliance on outside volunteers to deliver essential public services. I believe that these examples hold the key to informing how governments should collaborate with outside civic hackers to develop new solutions that can improve the performance of government and the quality of the services they deliver. The video above was captured in September 2013 in the UK, and shows a group of people heading home after a night out on the town. The surprising thing about this footage is that it didn’t capture people behaving badly – in fact, it shows the group working collaboratively to fix a damaged bike rack. Distilled to its essence – this is what civic hacking is. It is the awareness of a condition that is suboptimal in a neighborhood, community or place and the perception of one’s own ability to effect change on that condition. There is no prerequisite that civic hacking involve technology or software, it only needs to involve people willing to help fix problems – apps are incidental to the larger goal of fixing a community problem. In a way, civic hacking is the a manifestation of dissatisfaction with government services. And while there has probably always been some level of dissatisfaction with the performance of government, the spread of open data and powerful, cheap tools for using this data to build new apps allows citizens to design their own interfaces to interactions with their government. There is an abundance of examples we can point to where outside parties develop solutions on top of government provided or maintained data – to fill a role or address an issue that would ordinarily fall under the official responsibilities of a government agency. In Philadelphia, there are a number of efforts underway to encourage the repurposing of vacant properties, even though official responsibility for this falls under the duties assigned to specific government agencies. These outside efforts are enabled by the deliberate release of property information by the City of Philadelphia. Before civic hacking, it was not possible for people to custom tailor an interaction with their government to their liking, or to change that way that government information and services were presented. Now it can be quite easy to do this. This presents an enormous challenge to the bureaucracy, and – in many ways – an enormous opportunity. Despite the popularity of hackathons, and the strong growth of civic hacking across the country, it’s not difficult to find people that criticize civic hacking, or question its long-term impact. In my experience most people that are skeptical of the potential impact of civic hacking have either been to very few (if any) actual civic hacking events, or conflate government sponsored app contests – that were quite common several years ago – with the larger civic hacking movement. Some even question the motives of those that promote civic hacking and suggest that it may be nothing more than a sham meant to take advantage of skilled but inexperienced workers in an unfavorable job market. “As an enactment of civic intent, hackathons parochialize the ambition of democratic participation to topics that attract the data and technical means for impact in the course of a day or a weekend. Energetic, enthusiastic volunteering in ‘hackathons’ and other partnerships are not enough to create sustainable change in cities. Although hackathons are popular, their approach to problem solving is not always driven by community needs, and hackathons often do not produce useful material for governments or citizens in need. I think both of these criticisms fail to see civic hacking as a larger movement that exists outside specific events that happen on a weekend here and there, and both miss the very important point that the apps created at any specific event are often not the primary focus of the hackathon. Think of the hackathon as a pit-stop on a long journey to solve problems or as a training session to prepare participants for solving problems. The civic technology community has become increasingly aware of the need to ensure that solutions are developed in collaboration with those that are meant to benefit from them. Civic hacking groups are developing new ways to include the users of civic application into the development process, to better ensure that their preferences and viewpoints are considered. In many ways, I think its fair to say that the amount of time and energy currently focused on ensuring user input in the development of civic apps probably outpaces the amount invested in the development of official government apps. But most of all, what strikes me as relevant in these criticisms of civic hacking is the derision – whether explicit or implied – of the volunteer nature of it. I disagree that the volunteer nature of civic hacking means that it does not have value, or that it can not have a long-term impact. In fact, there are a number of examples that we can point to where governments partner with volunteers to provide important public services. Government collaboration with volunteers may be new to the world of technology, but in other areas of public service delivery it is quite common. The vast majority of firefighters serving the Untied States are volunteers – 69% according the National Fire Protection Association. So cemented in our national psyche as a symbol of selfless public service are volunteer firefighters that it was used as the template for the Code for America Brigades that are now growing in cities across the country. But there are many other examples where the government collaborates with volunteers to provide important services. The AmeriCorps service program – created under the Clinton Administration – is a federal program to recruit young adults to service in their community. This program was specifically designed not only to attract volunteers to help deliver important services, but also to facilitate professional growth in volunteers themselves and provide work experience. We can see many of these same objectives playing out in the world of civic hacking, where some communities are introducing a new focus on skill development and technology literacy. 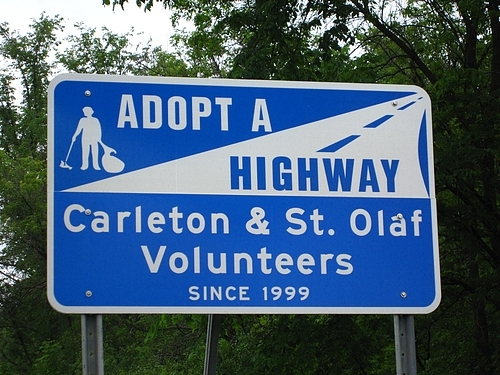 Neighborhood watch groups, adopt-a-highway programs and community cleanup groups are additional examples where volunteers are helping to provide a service that would ordinarily fall to government alone to provide. In the City of Philadelphia, there is a formal program to designate citizens who have the support of their neighbors as “Block Captains” – this individuals act as the liaison for a community and interact directly with designated employees within city government. It is worth noting that these Block Captains are given official standing with the city (each is issued an ID card) and provided with support materials and training. These are just a few examples of the long history that governments have in collaborating with outside partners that volunteer their time, skills and expertise. But what is interesting to me is that there is very little discussion about the role of civic hacking in this larger picture of volunteerism. Why does government collaboration with other kinds of volunteer groups seem do differ so much from civic hacking? We should say to critics in the media or elsewhere that failure is an essential part of government, just as it is in private enterprise. And the cost of failure should be tiny, dwarfed by its rewards…It’s much better to fail fast, fail cheap, and then put things right at a fraction of the cost. One of the things that governments face the most challenges in adopting as part of how they build and implement technology is agile development methodologies that employ iteration and failure as tools to develop better products. For a variety of reasons, this approach can be hard for government to adopt. Civic hacking groups, however, present an enormously valuable potential partner for governments – they can help develop and test a variety of different solutions outside of the traditional government contracting and procurement processes that can be used to see what works, and (perhaps more importantly) what doesn’t. It’s agile development by proxy – or could be, if governments were able to see the value of stronger relationships with civic hacking groups. One of the common themes that emerges when we look at the different kinds of volunteer activities that governments rely on to help provide important government services is that they have the official sanction of the government. This point is probably easiest to see with volunteer firefighters, but it is common with other volunteer groups as well. Adopt-a-highway programs use signage on roadways to designate the groups responsible for cleaning them, and Philadelphia Block Captains are given ID cards and an appointed liaison from the city to assist in their efforts. This official sanction from government seems to be missing when it comes to civic hacking groups. To be sure, it is not uncommon – particularly in cities like Philadelphia and Chicago – to see city representatives regularly attending civic hacking events. But the presence of these people represents an ambiguous commitment from government primarily because most civic hacking events take place after hours or on weekends. Are these individuals attending in their official capacity, or as enthusiastic volunteers themselves? It’s not always clear. The one investment that governments have always made in the volunteer activities that support their efforts are resources – typically financial. In fact, it is the lack of resources that has most directly impacted the success of these volunteer efforts. I think that civic hacking needs to be viewed in this broader tradition of volunteerism in America – a tradition that is important to the effective and efficient delivery of public services. Governments need to officially recognize and partner with outside hackers and technologists – not unlike what was tried in New York City under the Bloomberg Administration. In addition, governments must invest in the resources to support civic hacking – most importantly, governments need to provide high quality open data and other “raw materials” for creating new solutions. We can’t underestimate the importance of the official sanction and support that other kinds of civic volunteerism receive from government. It’s what defines these efforts and sustains them. It’s time for us to see civic hacking as an essential component of the Collaborative State and recognize its place in the proud tradition of volunteerism that has helped to strengthen this country. I wonder if financial support is really the missing ingredient. There are a lot of other differences between firefighting and adopting a street on one hand and current civic hacking practice on the other. 1. Noncompetition — we don’t have volunteer firefighters and professional firefighters in the same district. It seems difficult to sustain volunteering when some people get paid for providing the same service that the volunteers are providing for free. By and large, the software solutions procured by governments are of very different scale and type than what civic hackers are interested in providing. Sometimes they are not. After a group of volunteers made http://www.chicagolobbyists.org/, the city issued an RFP for a lobbyist disclosure site that was very similar to the volunteer’s offering. Because the volunteers were not ready to organize themselves into the kind of organization that could bid for the RFP, the contract went to traditional vendor. The contract still has not been fully delivered. This story is often told as an example of what’s wrong with procurement, but it could be told as a story about how to squash voluntary civic hacking. With modest encouragement, and no government contract, Chicago could probably have gotten a great lobbyist disclosure site from the original volunteers. 2. Real stakes and real partners — A lot of the attempts to work with civic hackers have been for relatively minor operational improvements. In part this is because you don’t get to work with volunteers without giving up some control about how the work gets done and how it gets communicated to the public. The lack of control is scary for governments. On the other side, you’ll get better volunteers if they believe that the work is meaningful. 3. Lack of relevant knowledge — Firefighters are highly trained in how to fight fires, and just about anyone can pick up trash. Making meaningful interventions in the operations and communication of government functions is hard, and the necessary knowledge and skill is only somewhat related to knowing how to make a good website. Our civic hacking communities are maturing in their understanding of complicated policy and operational issues, but it’s still early.